The regal and elegant carved details of the Acanthus Tile add an eye-catching embellishment to your doors, windows, mantels, cabinets, and more. Its carved leaf and scroll details make this tile a perfect adornment for Acanthus, Roman, and Olde World style décor. 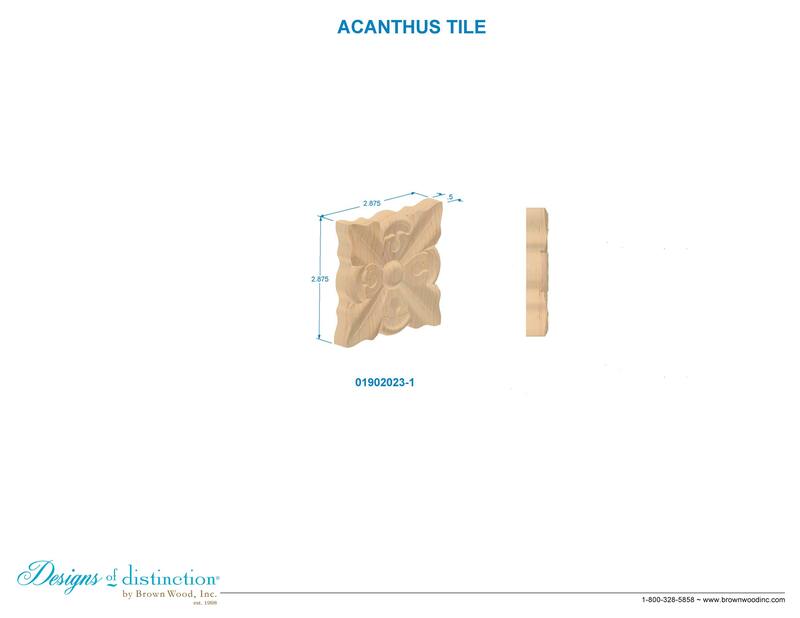 Shop for matching components in the Acanthus Collection.